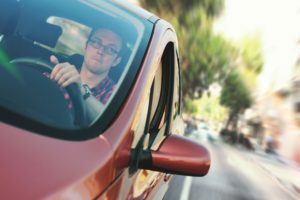 UIM coverage, also known as underinsured motorist coverage, is a way to protect yourself in a car accident. If the car that hit you has insurance but does not have enough coverage, for example in New Jersey the minimum level is usually $15,000 worth of coverage, if you have serious or significant injuries and you have a higher limit of $25,000, $50,000, $100,000 or more underinsured motorist coverage on your own policy, then we can go after your own insurance company for the difference between what the car that hit you had and what the value of your injuries are worth. In New Jersey, it is common for people to have the Basic Policy because it is the cheapest plan that the state offers. However, it does not protect you from underinsured or uninsured motorists because their policy simply is not big enough. The Basic Policy only provides property damage liability of $5,000 and $15,000 for personal injuries. If you have a Standard Policy, you may bring a claim against your own insurance company to pay for the remaining damages that were caused to your vehicle by an uninsured or underinsured motorist that their plan was not adequate enough to cover. If your insurance company doesn’t want to pay the remainder of the damages that were caused by an uninsured or underinsured motorist, you can make a written demand for arbitration against your insurance company.